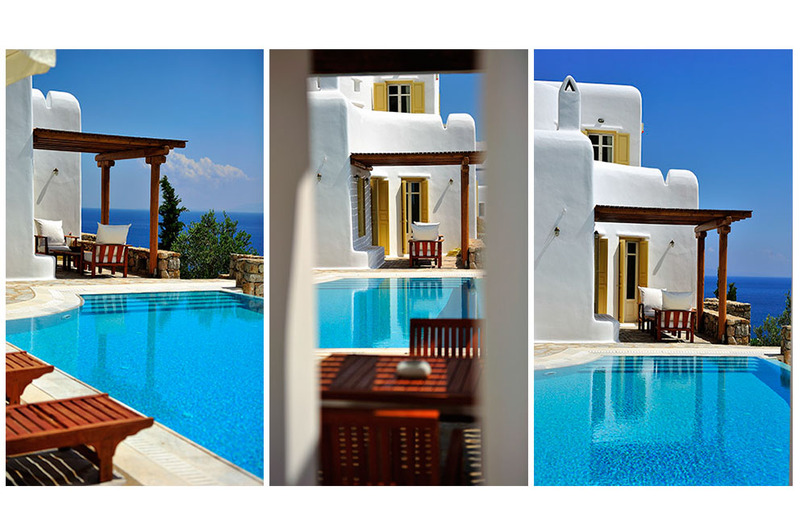 The glorious villa “Le Soleil” is situated in the south-west of Mykonos, overlooking the beautiful Saint Lazaros Bay, offering absolute tranquillity in a serene seafront environment, and only a short drive from the cosmopolitan beaches of Psarou and Plati Yialos, as well as Mykonos Town, renowned for its intense night life and picturesque labyrinthine web of cobble-stoned streets. 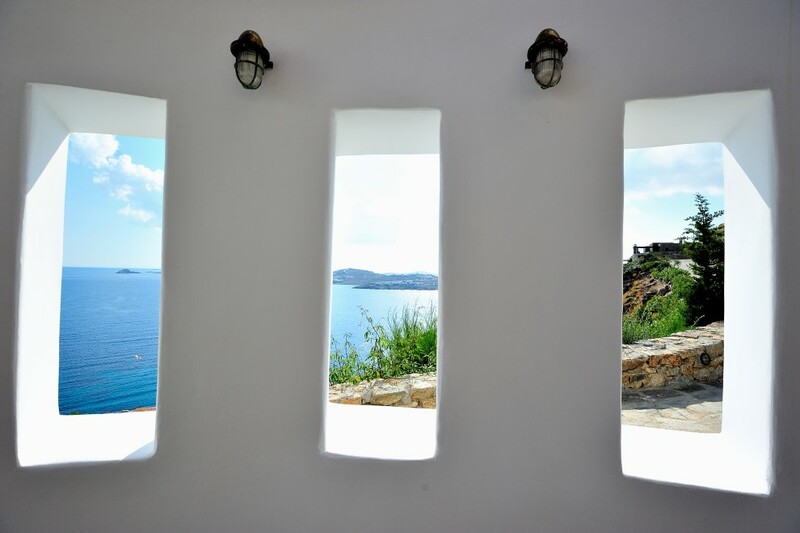 The breathtaking view may be enjoyed through the large windows of the elegant living room. 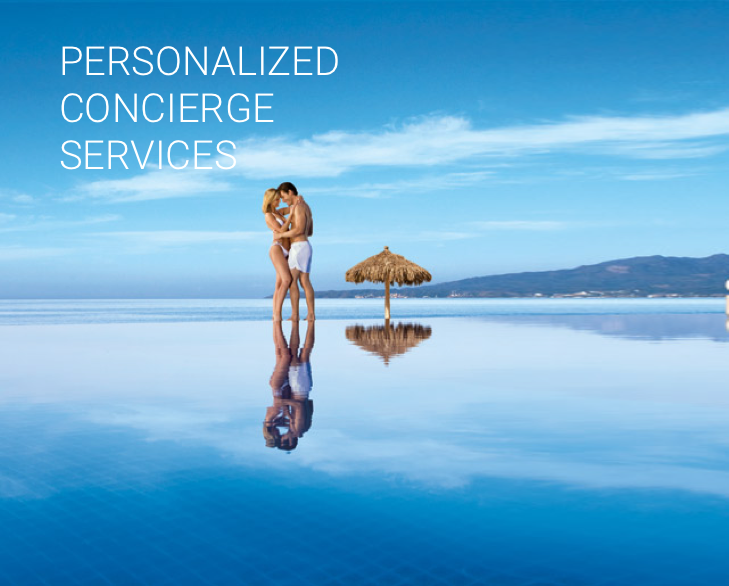 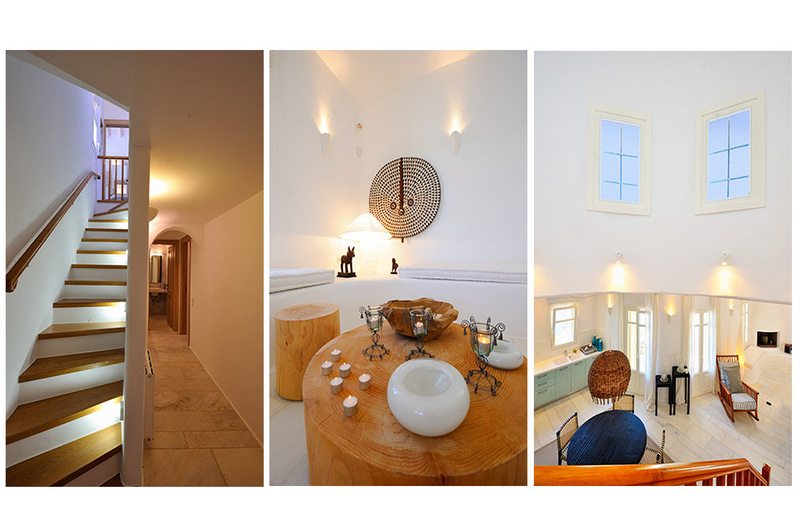 On the ground floor there is a fully-equipped kitchen and a tastefully decorated guest bedroom and on the level below there are two more spacious bedrooms. 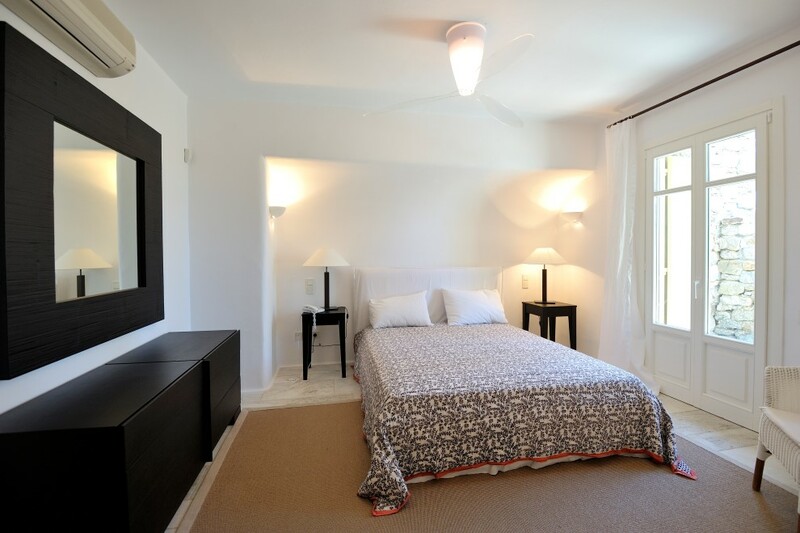 To the first floor of villa “Le Soleil”, there is an en suite master bedroom enjoying complete privacy with its own large personal veranda so as to bask in the majestic view. 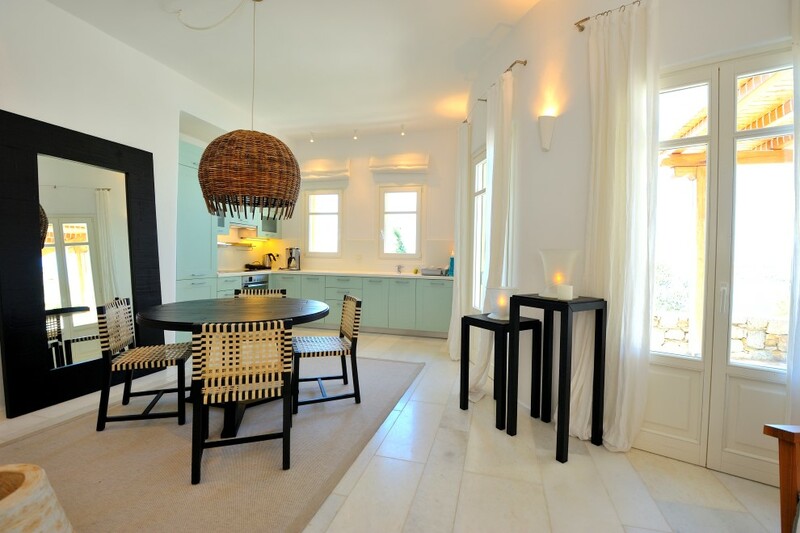 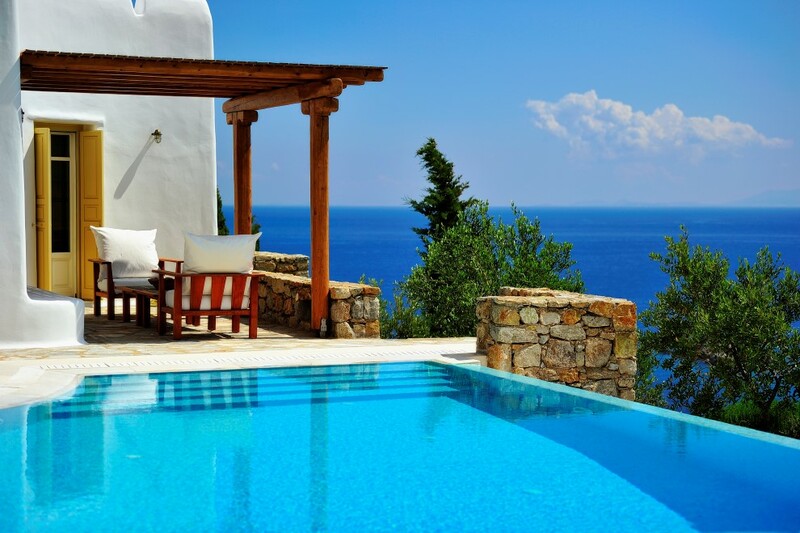 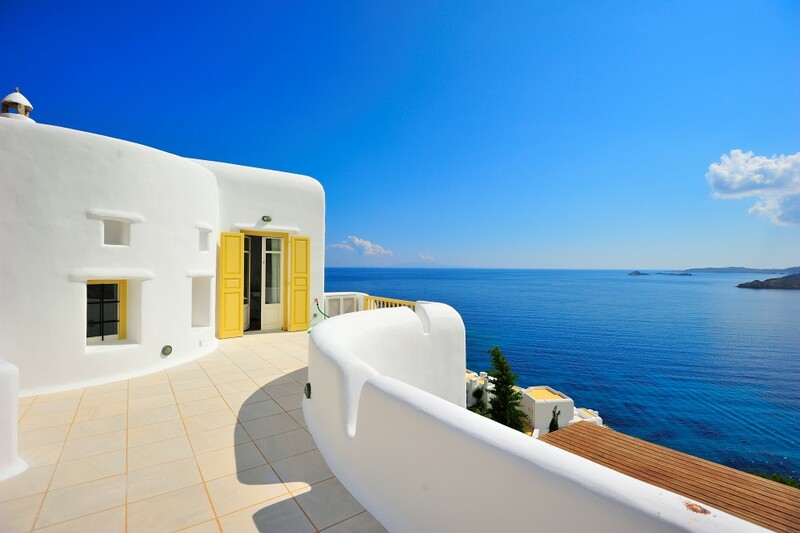 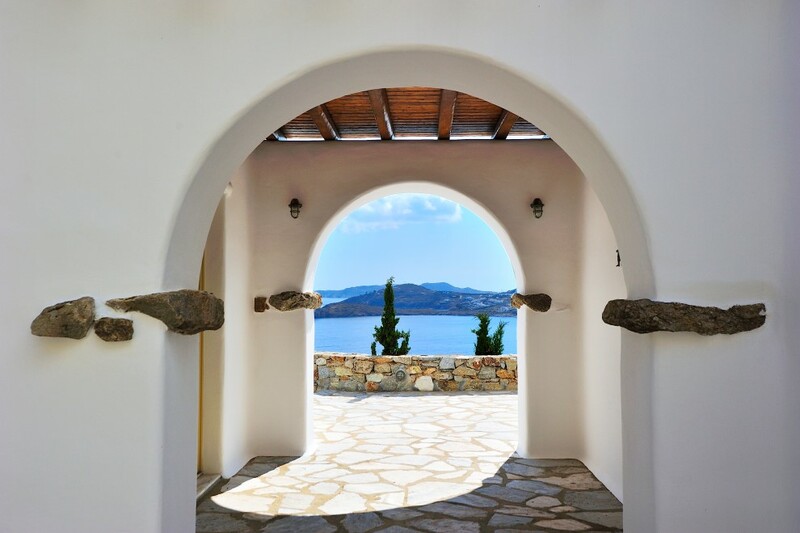 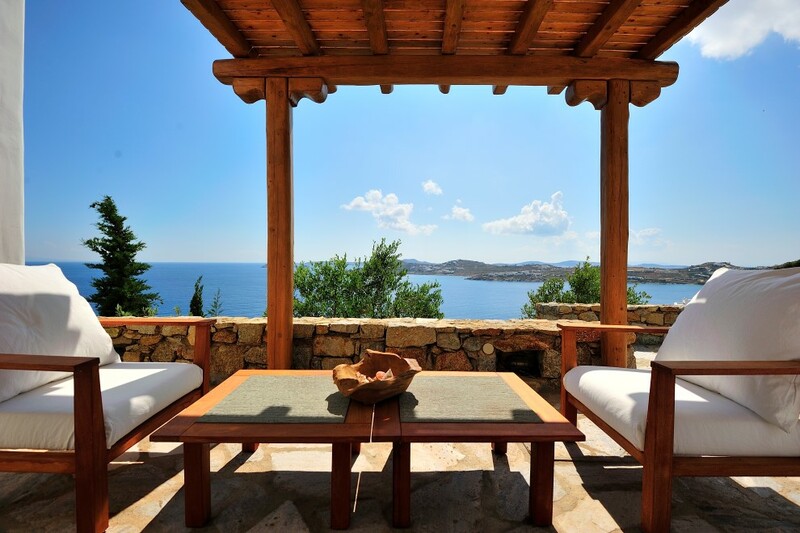 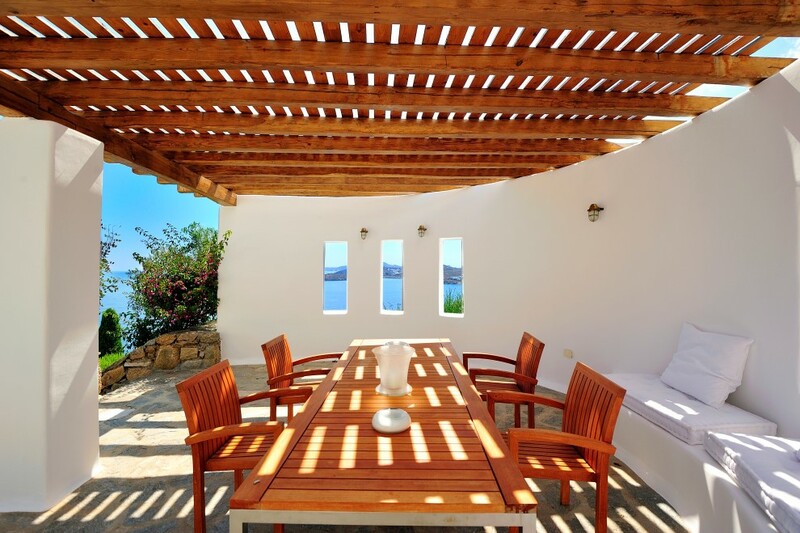 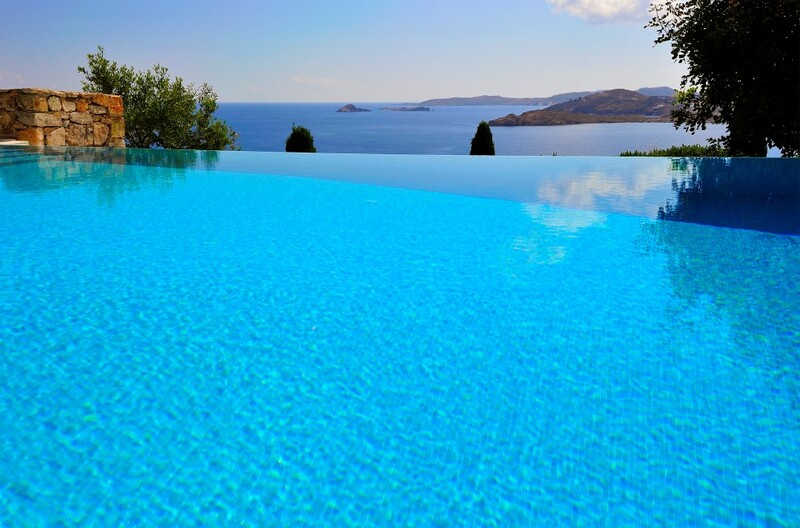 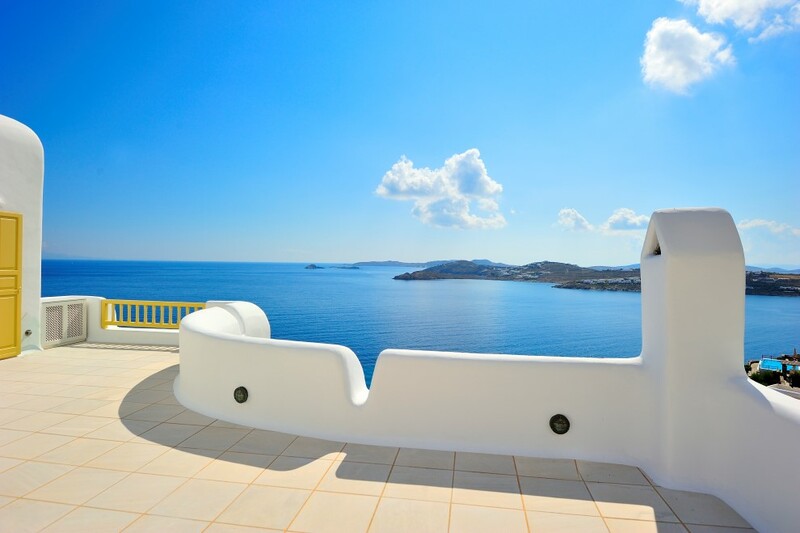 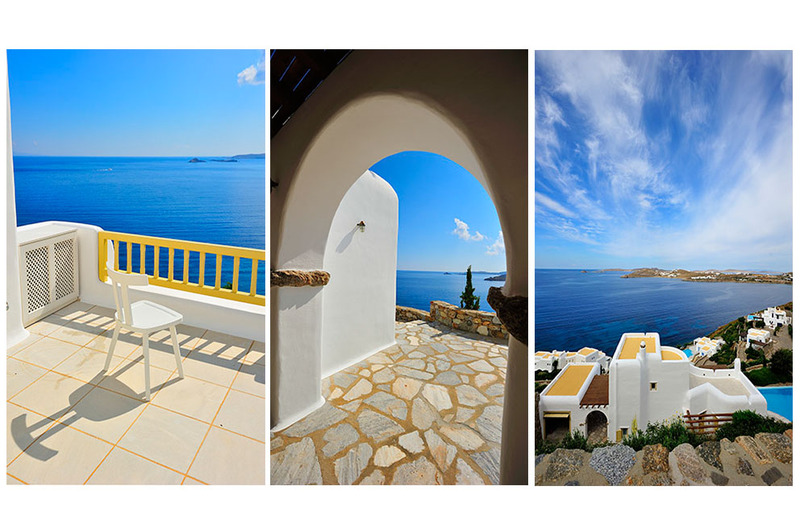 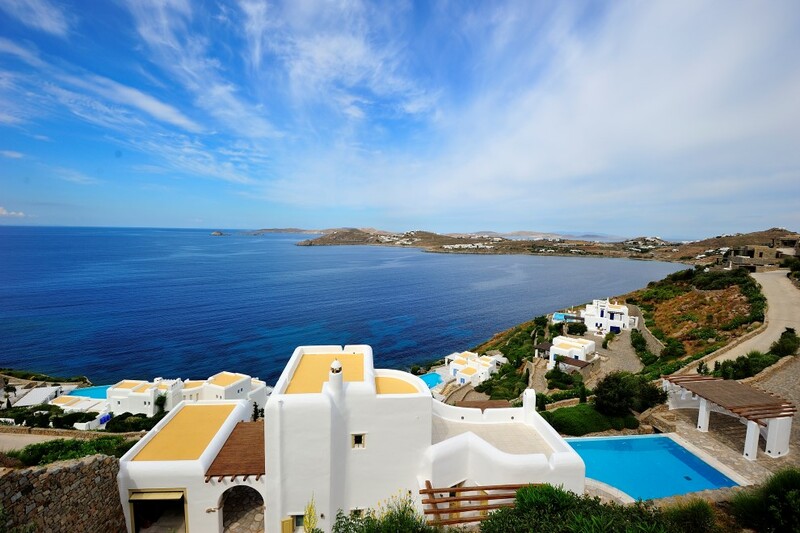 Villa “Le Soleil” is ideal for smaller groups seeking a truly luxurious setting in a tranquil environment with a magnificent view across the Aegean Sea.